Atletico Paranaense of Brazil had been forced to substitute their entire attacking line in the course of an epic 120 minutes against Atletico Junior of Colombia. Even so, there seemed little chance of the Colombians prevailing from the spot. Just over a year ago they blew the chance of reaching the 2017 Copa Sudamericana final by missing a spot kick. They missed again in the second leg of this year's semifinal, James Sanchez having a weak shot saved. That one hardly mattered -- they already had a healthy aggregate advantage, and made it through to the final with no scares. But the next two were crucial. In the first leg of the final, in front of their own fans, centre-back Rafael Perez blasted against the bar. And now, at the other end of the continent in Curitiba, playmaker Jarlan Barrera had the chance to clinch the trophy. Under ten minutes of extra time remained when he stepped up from the penalty spot --and sent his kick high over the bar. So when it came to the shoot-out, it was hardly a surprise when Junior faltered once more. Gabriel Fuentes hit the post and Teofilo Gutierrez skied over. In all, over the course of the final Junior missed four times -- without the Atletico keeper having to make a single save. 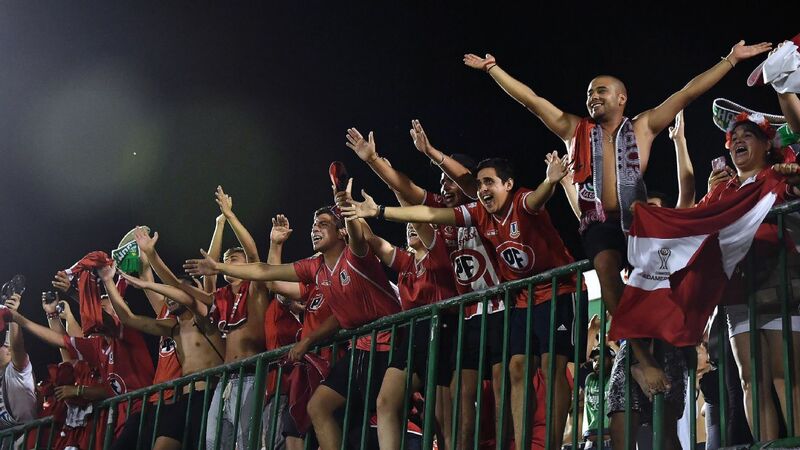 And so it is Atletico Paranaense, and not Junior from Barranquilla, who celebrate their first international trophy. In one sense, Junior were hard done by. Star striker Gutierrez was suspended for the first leg, after having been very harshly sent off in the semifinal. His presence in Barranquilla may well have tipped the balance. He was certainly a constant threat in Curitiba, supplying a focal point for the attack -- and it was his goal that levelled the scores in this second consecutive 1-1 draw. Gutierrez had already shown the strength of his partnership with playmaker Barrera when Atletico took the lead as a result of fine combination play at the other end. Centre-forward Pablo worked a neat exchange of passes with Rafael Veiga, found a hole in the middle of the Colombian defence and took advantage of it with a neat finish. It capped a first half -hour in which Atletico had sought to impose themselves on the game. Thereafter, however, the initiative switched. Going into the second leg, there were a number of reasons to consider Atletico the favourites. Not only did they have home advantage, boosted by their synthetic pitch, but they were also -- in theory -- by far the fresher of the two sides. In the last two weeks they have been able to concentrate exclusively on this final. 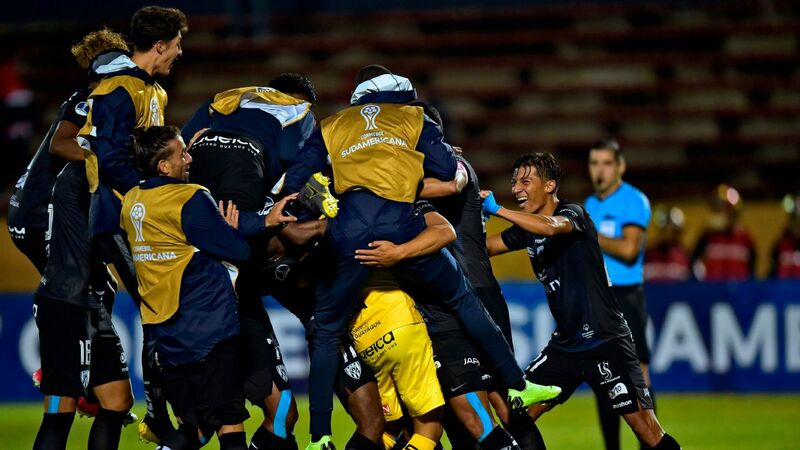 Junior, meanwhile, are in the closing stages of the Colombian championship, where they played the first leg of that final on Saturday before making the long trip south. It might be expected, then, that with the necessity of chasing the game, Junior would tire in the second half and leave themselves open to the counter-attack. Instead they took charge. Atletico were unable to hold on to the ball. Their slow centre-backs were forced deep, and space opened up between the lines for Barrera to run the game. The surprise was that, just like last week, the Atletico defence was undone in the air. Barrera took a corner from the left, centre-back Jefferson Gomez had a free run, and his header was glanced home by Gutierrez. A further surprise was that Junior could not add a second. Time and time again they passed their way through the defence, only to waste the opportunity. The pattern continued through extra time -- when, bizarrely, Atletico looked by far the more tired of the two sides. And the big chance came when Gutierrez split the defence and Yonny Gonzalez was brought down by the goalkeeper. Barrera, in probably his last kick of this current spell with Junior, shot high and Atletico breathed again -- all the way to shoot out. The title was won in memorable fashion. Captain and centre-back Thiago Heleno stepped up to take the fifth penalty. His clear aim was to avoid the slightest sign of doubt -- and he blasted emphatically home, sealing a title that could have important implications. Brazilian football frequently speaks of a "Big 12" -- four traditional clubs each from Rio de Janeiro and Sao Paulo, and two each from Belo Horizonte and Porto Alegre. The big outfits from the northeastern portion of the country are still finding it hard to make a national impression. Meanwhile, Atletico Paranense from the south have now won an international title. They are an ambitious, forward-thinking club. They have a fine stadium and are extremely open to new ideas. Indeed, they are now taking advantage of their current visibility to rebrand, with a new logo and a new spelling -- or rather an old one. They will now revert to their original name of Athletico -- the extra 'h' is to distinguish themselves from the Belo Horizonte version, Atletico Mineiro. Armed with this title, they can start thinking of themselves as being on the same level as the other Atletico. Brazilian football may need to start thinking in terms of a "Big 13."